Jill Reid, Roger Reid, and Jim Miller are full-time professional real estate specialists offering over 75 years of combined sales and marketing experience. Whether you're buying or selling, we're with you every step of the way, from presenting the offer to personally attending home inspections, final walk-through, and the closing. Most important, we're available seven days a week to meet your schedule and availability. Serving the greater Tampa area, our group provides one of the best response times of any real estate team in the business, and that simply means smoother transactions for both buyers and sellers. Questions about the market, a particular subdivision, or curious about your home's value? Call or text Jill Reid any time at 813-244-9561 or sent an email to JillReid@JillReid.com. Watch Our Video Tours Here! Immaculate 3-bedroom/2-bath single level home with wood laminate and tile throughout. Neutral colors, eat-in kitchen, and formal dining with built-ins. Spacious kitchen features tons of counter space and cabinets, smooth-top range, dishwasher, and built-in microwave. Master suite with dual sink vanity, linen storage, and walk-in shower with handles/grips. Second full bath with tub/shower combination. Private entrance and deck off additional bedroom. Front enclosed lanai offers 220 sq ft of additional living space with zoned cooling/heating and electric fireplace. Extended covered carport parking and two outside storage sheds. Grassy, landscaped yard with patio and sprinkler system. Electric lift in place by dining room slider doors. Furnishings, decor, and appliances included. Listed at $199,900 - Call or text Jill Reid at 813-244-9561 for more info and a personal tour! Ground Level 2-bedroom/2-bath end unit condo. Neutral colors and flooring throughout this open floorplan with eat-in kitchen and combination living/dining rooms. Master bedroom features dual-sink vanity, walk-in closet, tile-surround shower, and bidet. Second bedroom with mirror closet doors and large side window for extra light. Ceramic tile in kitchen/nook and both baths. Tons of storage and shelving in closets. Indoor laundry area with washer/dryer and second full bath. Enjoy outdoor living from the walk-out covered screened patio with tile flooring and water/fountain views. 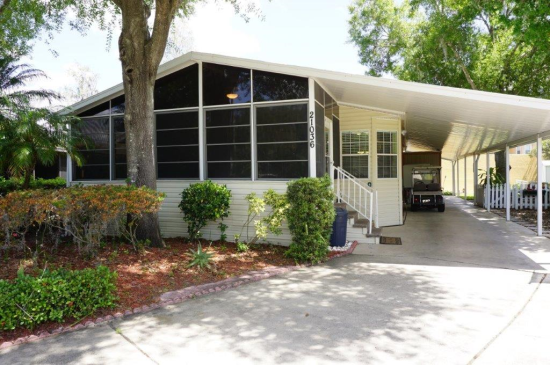 Listed at $179,900 - Call or text Jill Reid at 813-244-9561 for more info and a personal tour! Click Here for the Video Tour of This Home! Light and bright 2-Bedroom/2-Bath condo with neutral colors and open floorplan. Kitchen features granite counters, smooth-top range, built-in microwave, and pantry. Combination living/dining rooms with covered screened balcony. Master suite offers dual-sink vanity, garden tub, walk-in tile-surround shower, and two spacious closets. Private covered, screened balcony off master with additional storage closet. Second bedroom with closet and full bath with tub/shower combination. Newer AC, interior paint, ceiling fans, and water resistant vinyl plank laminate flooring. Inside laundry accommodates full-size washer/dryer and extra shelving. Extended garage with large storage room. Listed at $159,900 - Call or text Jill Reid at 813-244-9561 for more info and a personal tour! 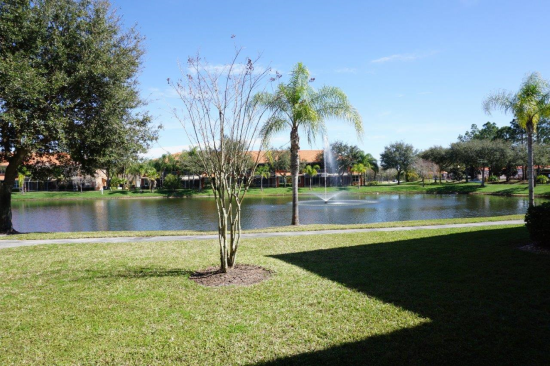 Lovely furnished 1-Bedroom/1-Bath condo with water and fountain views. Neutral tile, carpet, and colors throughout. A/C replaced in 2010, water heater 2-years ago. Spacious master with full bath, walk-in closet, and door to balcony. All furnishings, appliances, kitchenware, and decor convey. Indoor laundry with stack washer/dryer for convenience. Covered screened balcony with brick flooring. Additional outside storage closet with shelving. 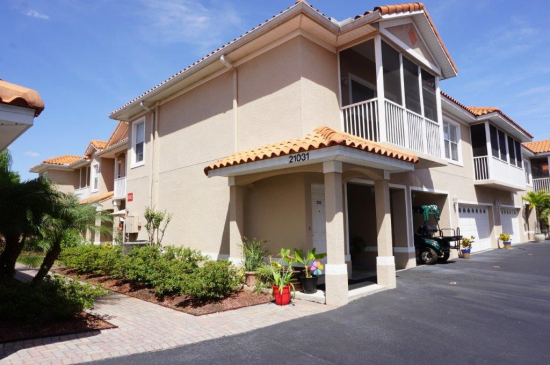 This beautiful condo is turn-key and move-in ready. Listed at $133,900. Call or text Jill Reid at 813-244-9561 for more info and a personal tour! Thank you for visiting our Real Estate website. Call or text us any time at 813-244-9561 or send an email to JillReid@JillReid.com and let us know how we can help. Watch Our Property Video Tours Here! Keeping your eye on a certain area or want to know what's for sale in your neighborhood? Sign up for our Daily Property Alerts and have new listings delivered to your inbox for FREE! Thinking about selling? Find out what your home is worth in today's market. The Jill Reid Group welcomes the opportunity to provide you with a free comparative market analysis. Design your own Personal Property Search to find homes! It's easy - just CLICK HERE to get started!